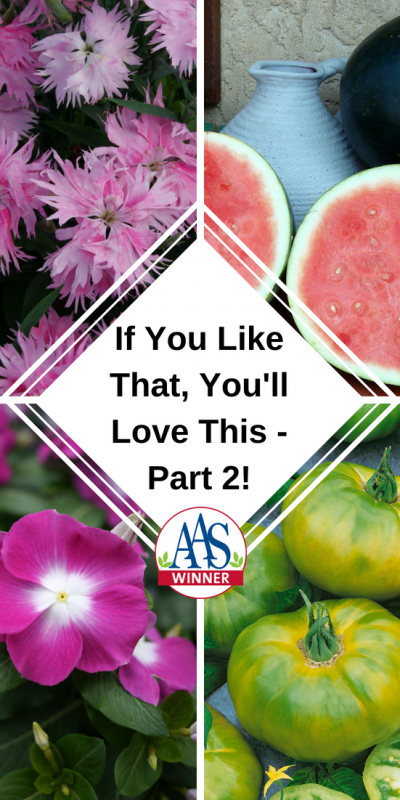 Did you know that all AAS Winners have been rigorously trialed by horticulture professionals who pit them against varieties already on the market that are considered “best in class”? Find retail sources for AAS Winners by clicking here. 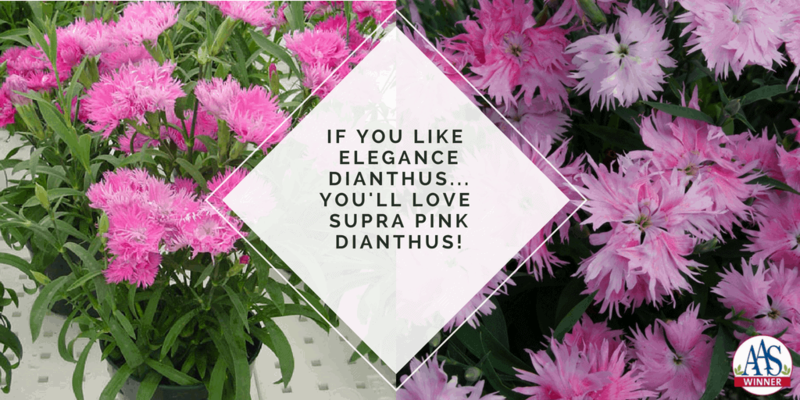 If You Like Elegance dianthus, then you’ll LOVE Supra Pink dianthus! Supra Pink is an easy-to-grow interspecific dianthus for three-season (spring, summer, fall) garden color. This compact, bushy plant blooms prolifically with novel mottled pink flowers sporting frilly petal edges that hold up even in summer heat and drought. No deadheading needed on this winner. One judge attempted to deadhead this entry but it re-bloomed too fast to do so! Supra Pink grows to just under a foot in height but is a vigorous grower and will deliver fancy, clear pink flowers for a long time as observed over and over by the AAS Judges. Supra Pink was tested as an annual and won the award based on first-year performance, but similar to other dianthus, it may overwinter in some regions. 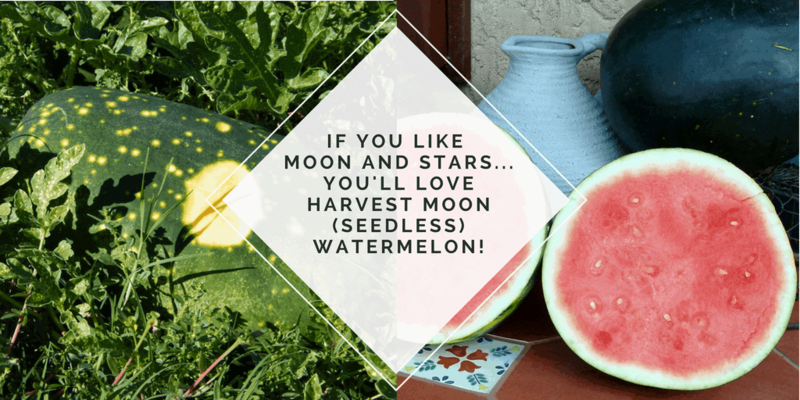 If You Like Moon and Stars watermelon, then you’ll LOVE Harvest Moon watermelon! 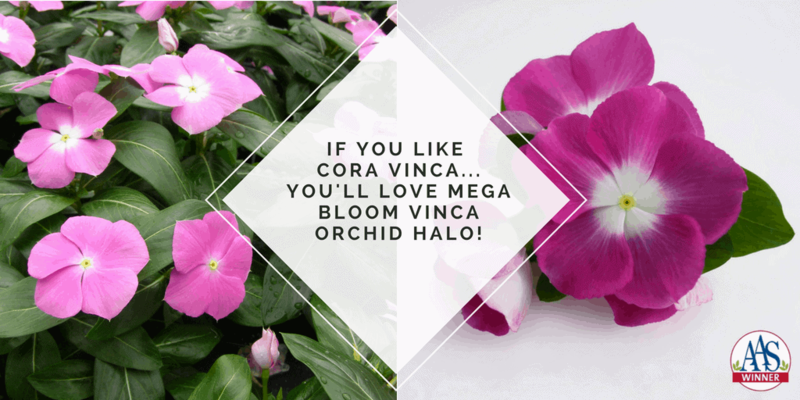 If You Like Cora vinca, then you’ll LOVE Mega Bloom vinca! 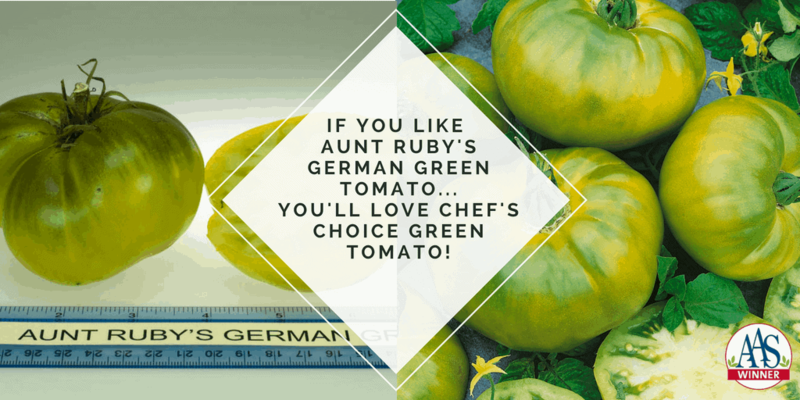 If You Like Aunt Ruby’s Green tomato then you’ll LOVE Chef’s Choice Green tomato! Looking for a uniquely colored yet delicious tomato with which to impress your foodie friends? Then look no further than this AAS Winner, Tomato Chef’s Choice Green F1. The newest addition to the Chef’s Choice series produces beautiful green colored fruits with subtle yellow stripes and a wonderful citrus-like flavor and perfect tomato texture. You’ll enjoy this disease-resistant plant throughout the season with its dark green leaves and well-behaved form.